Okay, it didn’t hurt that I also got to sip pink champagne during my introduction to the MAKE UP FOR EVER Boutique in Santa Clara, CA (don’t worry there are more locations throughout the U.S. and Canada), but I would have made the trek anyway! Experiencing one of my favorite makeup brands in boutique form rather than the confines of a Sephora kiosk… We’re talking 1600 products in the boutique vs. 300 – 600 at Sephora. 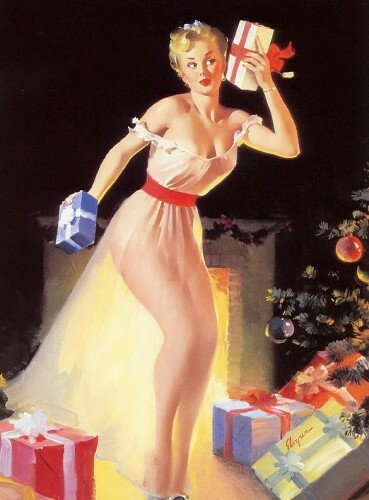 BINGE ON! 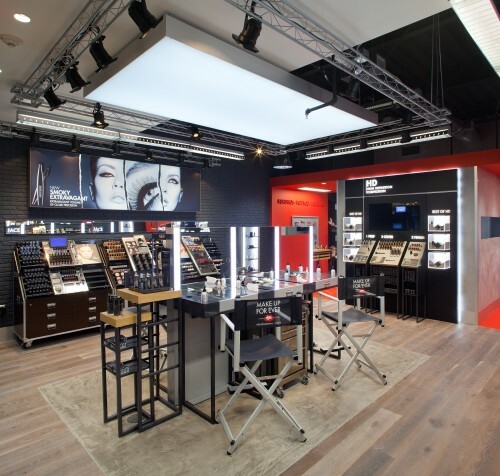 Forget the products for a second (I know it’s tough…) but the main draw for these boutiques are the cute little makeup school stations in the back. Every Monday, the boutiques host Make Up School ($25 a class) on how to achieve a certain look — smoky eye, contoured face, etc. And don’t think for a second you’re just going to watch in the mirror and hope you remember how to achieve the look once you get home… Oh no! The makeup artist is only going to apply the makeup to half your face, then it’s your turn! If you don’t paying attention, expect to look more like a Picasso than a makeover after shot. –MAKE UP FOR EVER HD Blush 210 This cream blush literally melts into your skin, leaving no visible texture. It’s really easy to blend and gives my cheeks a pretty “just pinched” look. –MAKE UP FOR EVER HD Microperfecting Primer 1 Green Redness has really become an issue for me since my pregnancy. I apply this green (yes green!) primer ONLY where I’m red and blend until the green hue goes away. Then I put my normal primer on over it. It’s the only thing that works as far as covering my redness without looking heavy. –MAKE UP FOR EVER Aqua Eyes Black Purple 6L I literally have these long-lasting, highly pigmented waterproof eyeliner pencils in almost every color. 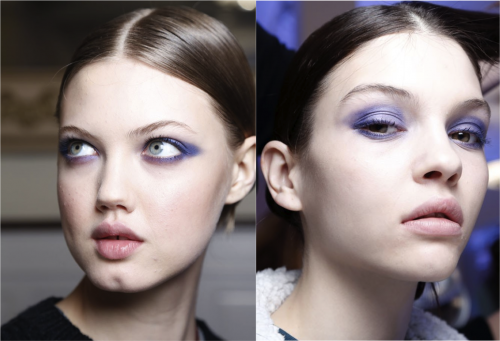 My new favorite hue is black purple, which brings out the blue in my eyes but is a subtle enough purple that it doesn’t look wild. 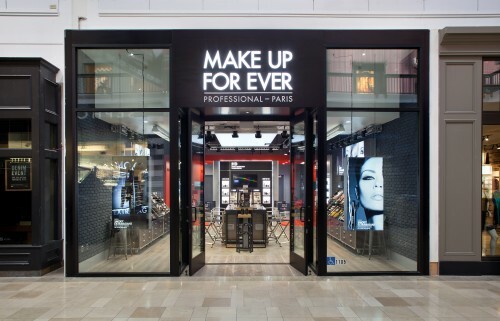 MAKE UP FOR EVER Boutiques are currently located in California, Texas, New York, Pennsylvania, Nevada, New Jersey, and Canada. To find the nearest boutique click here.